Interested in creating co-branded marketing campaigns with AWS? Access APN Marketing Central to easily customize and launch solution-based campaigns or find an agency with experience messaging AWS. 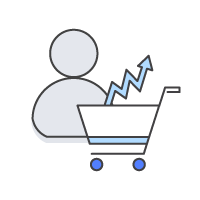 Whether you are looking to supplement an existing campaign or launch a full-blown campaign, APN Marketing Central can help you generate demand for your solutions on AWS. APN Marketing Central is a benefit available to all Select tier (formerly Standard tier) and above APN Partners at no cost via the APN Portal. Learn more about what's available and how to quickly get started below.. Looking to launch a fully-customized marketing campaign? Check out the new agency packages available from Starshot and BridgePartners in the agency marketplace. Highlight your primary storage solution and how it complements AWS storage services. As a benefit of achieving Select-tier or above in the APN, you will gain access to APN Marketing Central at no cost in the APN Portal. Don't have an APN Portal login? Create one using your company email address here. Under the Marketing tab of the APN Portal, you'll find the login for APN Marketing Central along with information on AWS Sponsorships and APN How-to Guides. By clicking on 'Launch a Campaign', you will be automatically signed into APN Marketing Central. If this is your first time accessing APN Marketing Central, you will be asked to verify your location before you are directed to APN Marketing Central. Easily customize and launch campaigns on your own through APN Marketing Central. You'll find a number of marketing assets organized by popular solution areas that you can launch directly through the tool or on your own marketing systems. All self-service campaigns are available at no cost. 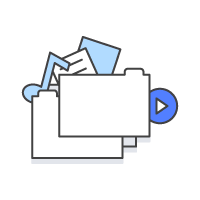 Engage organizations in sales conversations regarding how you can help them deliver virtual desktops using Amazon WorkSpaces. Demonstrate how your AWS Direct Connect solution can help customers establish a reliable, dedicated, and private network connection to their critical AWS services and applications. Demonstrate how your innovative AWS Financial Services solution can help tighten focus on information security to increase customer loyalty and satisfaction. As a benefit for AWS Summit Sponsors, this campaign helps you promote your sponsorship and follow-up with leads from the event. Highlight your company's Big Data solutions and how you and AWS can address a customer's Big Data needs. Detail your Microsoft SQL Server solutions for Line of Business applications and how to best leverage them on the AWS Cloud. Outline what cloud computing is, why it is relevant to a customer's organization, and how they can begin their journey to the AWS Cloud with your company. Explain security on AWS and how your company's solutions can help them address their unique security needs on the AWS Cloud. Educate your prospects on how they can increase business insight speed and flexibilty by hosting a Data Lake on AWS. 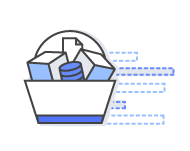 Introduce Amazon RDS including Amazon Aurora to your customers and educate them on the value of migrating their database workloads to AWS. 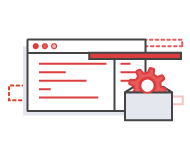 Tell customers about your company's DevOps solutions and how you and AWS can address their DevOps needs. This campaign includes all the demand generation collateral you need to run an event including a registration page and email invites, reminders, and follow-ups. Introduce AWS IoT and how your company's solutions can help customers get the most out of their edge devices on the AWS Cloud. Introduce Machine Learning and how your company's Machine Learning solutions can help customers solve their business critical problems. 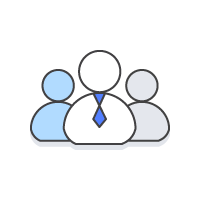 Tell customers about your company's Microsoft SharePoint solutions and how you and AWS can address their SharePoint needs. Explain how you can help organizations build and deliver mobile applications that leverage the AWS Cloud. 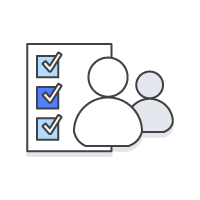 Talk to your customers about how they can enhance their organization's networking capabilities with AWS. Explain how your storage solution helps companies of all sizes extend their on-premises storage to seamlessly run production workloads on AWS without re-architecting. Explain the benefits of running SAP on AWS, and how your services can help customers accelerate time-to-value and reduce total cost of ownership. Help your customers get more value from their SAP investments by moving their on-premises SAP workloads to AWS. Describe VMware Cloud on AWS solution to your customers and how it complements AWS services. This campaign includes all the demand generation collateral you need to run a webinar and allows you to integrate your WebEx account for enhanced reporting. Engage with customers regarding how you can help them deliver their website(s) on the AWS Cloud. Explain your company's Microsoft Windows Server solutions and how you and AWS can address their Windows Server specific needs. Extend the capabilities of your marketing team by hiring an agency to help create your next marketing campaign. With the agency marketplace, it's easy to find and request agency services directly through APN Marketing Central. Each agency has created prix fixe packages for you to request as is or use as a starting point for scoping your campaign. Showcasing your customer success stories is a great way to validate your company's expertise. Find agencies that can help you extract the most important details from your customer and craft a story you'll want to share over and over. Drive engagement by getting in front of your top prospects and customers. Find agencies that can help with all the event logistics, so you can focus on what matters most to your business. Don't know where to start when it comes to marketing? Meet with an agency who can help you plan your next campaign or build out a long-term marketing strategy. Capitalize on the momentum of your campaigns and follow-up on your leads. Hire an agency to do the initial follow-ups and qualify the best leads for your sales team. Need help getting started? Virtual Partner Marketing Managers (vPMMs) are available to assist you throughout your APN Marketing Central campaigns. Schedule a call with a vPMM for a tailored walk-through of the tool or assistance on a campaign you've already started. If you're short on time and resources, the vPMMs can even help you set up your next campaign. vPMMs are available in English, French, Japanese, Portuguese, and Spanish. To get started, contact the vPMM team today. Learn what is available in APN Marketing Central and get a deep dive into the specific marketing tactics you are looking to execute. Want to execute a campaign quickly, but don't have the time to set it up? The vPMMs can help you by adding your company's messaging to a campaign, uploading your contact list, scheduling email sends, and more. The vPMMs are our experts in the tool. If you ever have a question on how to do something within APN Marketing Central, feel free to reach out to the vPMMs for assistance. Learn how to take advantage of all that APN Marketing Central has to offer by attending an upcoming webinar training or reviewing the on-demand resources listed below. Learn what's available on APN Marketing Central and how to get started by watching a previously recorded training webinar. Looking to do co-marketing with AWS? Here are some best practices we've outlined for leveraging self-service and agency-supported campaigns with APN Marketing Central. Launch the Marketing Central walk-through from the homepage to kick off a series of pop-ups that highlight key features and guide you through the tool. Have a quick technical question on how to use the tool? Search through FAQs, articles, and videos to find a quick answer to your question. Stay in the loop on APN Marketing Central updates and learn new tips for utilizing the available resources by subscribing to our email updates.